THIS actor NOT to be part of Irrfan Khan’s Hindi Medium Sequel? Irrfan Khan and Saba Qamar starrer Hindi Medium proved to be commercial and critical success when it was released last year. 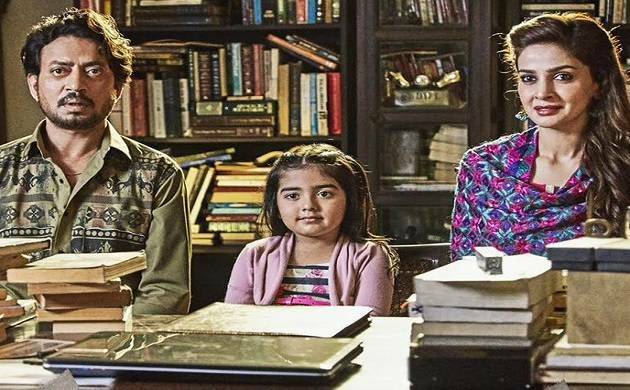 Irrfan Khan and Saba Qamar starrer Hindi Medium proved to be one of the sleeper hits of 2017. The Saket Choudhary directorial was appreciated by the fans and critics for its crisp storyline and humorous take on the education system in India. The movie which revolved around a Delhi based couple who wanted to see send their daughter to one of the top English medium schools in the city. The comedy-drama film also featuring Deepak Dobriyal and Neha Dhupia enjoyed a successful run at the box office. Considering the commercial and critical success of the movie, it was expected that makers will come up with a sequel. T-Series and Maddock Films have recently signed a multi-movies deal and grapevines are already buzzing with the rumours that the announcement of the sequel will be made soon. Both Irrfan and Saba were widely appreciated for their portraying their roles with perfection in the movie. The ‘Piku’ actor recently won the Filmfare Best Actor Award for his performance in Hindi Medium. Fans were expecting to see the dynamic pair once again in the sequel. However, Saba might not feature in the second instalment according to a recent report in Deccan Chronicle. The makers of the film Bhushan Kumar and Dinesh Vijan are yet to confirm the development.